Last year, I boarded a plane with my children to join my husband in Thailand in pursuit of a life less ordinary. I had no idea what I was getting myself into, but I was determined to make the most of my time (whatever that meant). It hasn’t always been easy. Nor has it been clear what this experience would signify for our family. Maybe we won’t know until after it’s over or its value will change over time. The year has been filled with opportunities to fill my time with new experiences and acclimate to a different kind of life from what I was living in the U.S. Some efforts went better than others, but it helped me see what I needed to be doing to have a fulfilling experience living here. While I wanted to believe that I could get around on my own motorbike, it was evident from my progress – or lack thereof – that I was better off without it (I still miss my Vespa). Focusing more closely on my health and fitness led me to complete a 10k, find an unrealized appreciation for Zumba and just generally take more dance classes than I have since I was 13. I’m also feeding my love of languages and how people communicate in different cultures by learning to speak Thai. I’m guessing that this may sound like a lot to tackle in a year while also raising small children and figuring out their lives. Maybe it is, but despite this, I have also concluded that it is essential for me to figure out how to earn a living to round out this experience. 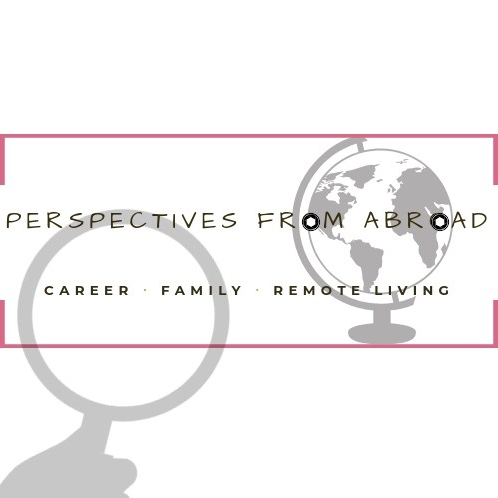 As I think about what I have learned on this journey so far, what stands out the most are the lessons I have learned about what living your best life means, finding inner peace and confidence and how an experience like living abroad can bring you closer as a family or be the straw that breaks the camel’s back. 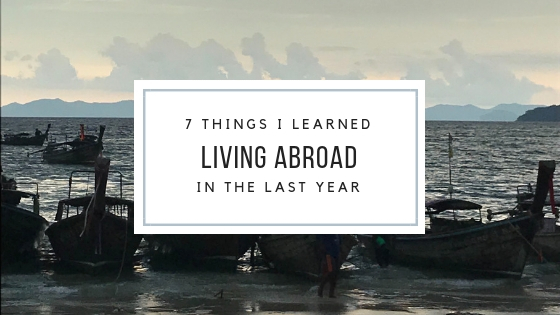 These are eight lessons being an expat has taught me after one year. It isn’t an endless vacation. The backdrop might say something different, but bills still need to be paid, meals cooked, and so on. That said, it is still essential not to get bogged down in the monotony of living in a place (versus visiting). It was crucial to make sure that I retained the feelings about Bangkok that made it feel so light and effervescent so that living here didn’t start to become like living in New Jersey. Moving away alone won’t fix what’s wrong. Expat life sometimes seems like an attractive way to get away from the things getting you down. That isn’t entirely untrue. It stops being true if that change of scenery doesn’t come with some serious reflection on who you are, what you want and how you’ll get there. Without that growth, change and peace will remain elusive. I equate this to the sentiment people express about their siblings: Folks drag their sibling for shortcomings and may not even like them very much but talk out of turn with your own opinion and they’ll defend this sibling ferociously. Seeing more of the world this past year has made me more critical of my country, while simultaneously deepening my affection. Weird how leaving something behind makes you appreciate it more. Traditions need firm foundations to continue. Living in the Eastern hemisphere in a Buddhist country means immersion in cultures and traditions I would never have seen otherwise. It also means figuring out what aspects of American culture and traditions to export for our family to carry on. With little ones I have been lucky since they have no expectations of what Thanksgiving or Independence Day looks like, so we can make our own versions. The challenge is teaching them about days, like Juneteenth and Columbus Day. It has been fun to see how our life here has created an exciting mix of Thai-Americana that our family can take with us for the rest of our lives. Know your strengths. Cultivate and believe in them because no one else will. Getting out of your comfort zone is just that: uncomfortable. As the trailing spouse on this expat journey, I stepped back from my career to focus on our family. It was bittersweet, but I don’t look back on the decision with any regret. It allowed me time with my children I wouldn’t have had otherwise, and for that gift, I’m eternally grateful. Now that we are all more settled, I’m itching to get back to doing work that I love but reentering the workforce has been extraordinarily challenging. Of course, that is making it easy for doubt to creep in about my skills and what I have to offer others. Other trailing spouses I’ve met are personal trainers, dance instructors, teachers, and just about every variety of artisan you can think of. That may not be for me, but I know what is and I can’t let go of it. I may have gone off the beaten path and felt lost at times, but it’s scenic AF. As I said, I moved abroad without knowing what was in store for my family or me. I stepped away from a predictable and safe existence so that our family could embark on this expat adventure. I had many moments of isolation, frustration and anxiety navigating life in this place but the year has also been filled with just as many highs as we’ve traveled Asia, tried new foods, met new people and generally spent more time together as a family in ways we couldn’t have back home. Regardless of what this chapter looks like when I look back, it will always be a worthwhile journey. You learn who your friends really are. Social media may make it easier for people to keep up with each other but likes aren’t conversations. We’re all busy with our lives and families, so it means a lot when someone takes time to reach out. Visits are even more meaningful, but the effort has to go both ways. While you’re busy settling in and exploring your new surroundings, the people who mean the most to you at home also need your attention. They don’t say out of sight out of mind for nothing. Thanks! It is crazy that it has been an entire year already.